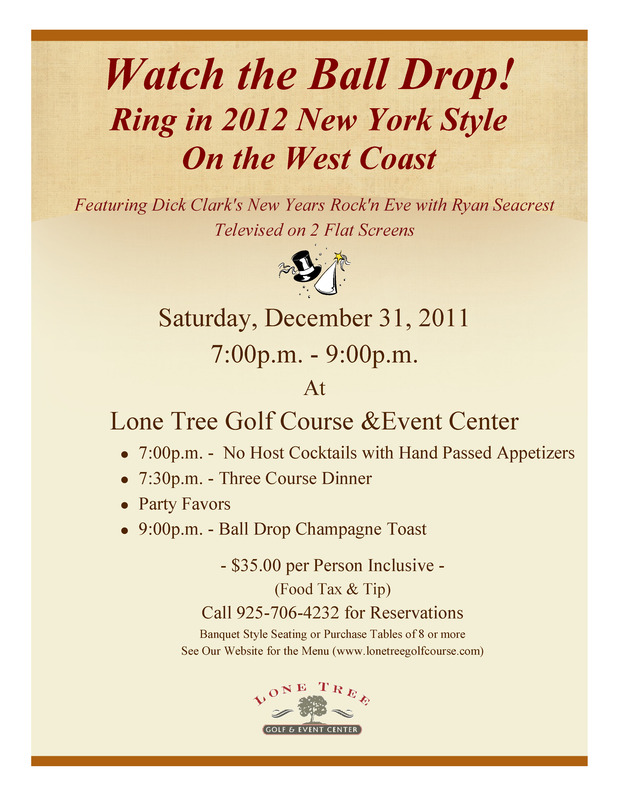 Lone Tree Golf & Event Center is hosting an East Coast New Year’s Eve on West Coast Time on Saturday night, December 31. 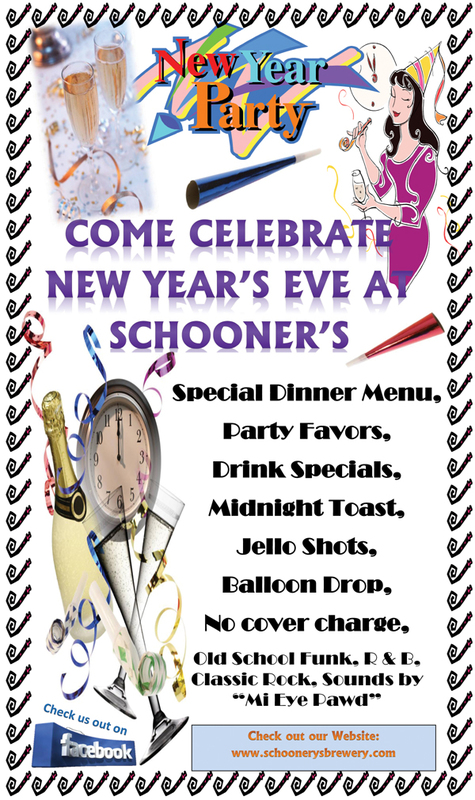 Watch the Times Square ball drop on two large screen TV’s, and get a jump on the celebration. The event includes no-host cocktails and hand passed appetizers at 7 p.m., three-course dinner at 7:30 p.m., party favors and a champagne toast at 9 p.m. Price is $35 per person. For reservations and more information, click here or call 706-4232. The Antioch Police Department is excited to announce the 30th installment of the Neighborhood Cleanup Program on Saturday, January 14th from 9 a.m. to 11 a.m. Volunteers should report to Gino Marchetti Park located at 2500 Kendree Street. Collectively, everyone who works and lives in the City Antioch can make a difference and improve the quality of life. It’s our community and it’s our chance to make a difference. Governor Jerry Brown remains determined to pursue a ballot measure on tax increases next year rather than address the state’s consistent, structural spending inefficiencies supported by taxpayer dollars. However, neither our state legislators or the governor, who created 20 new state agencies in his first term as Governor 28 years ago, seems motivated to do so or even address the two primary causes the review found for the high cost of operating the California government. First, “responsibility for agency functions is scattered among numerous departments.” Secondly, “there is significant duplication of common administrative and leadership functions.” It’s estimated that integrating Departments to facilitate information sharing and eliminate redundancy, reducing the number of administrators needed in the process, would save the state an estimated $22 billion and make it easier for residents to apply for services. Specific departments cited for lack of coordination and overspending are the Dept. of Health and Human Services (CHHS), the Dept. of Corrections and Rehabilitation and the Dept. of Education. Texas, for instance, manages its HHS agency at just slightly over 1/3 cost of operating CHHS and with 6 departments to CHHS’s 13. The Texas prison system, with a comparable number of prisoners (as of the end of 2009) had a budget of only $3.1 billion compared to California’s Dept. of Corrections and Rehab budget of approximately $9.5 billion (as of the end of 2009). California spends $47,000 annually per prisoner, 50% higher than the national average and almost 3 times that of Texas, whose recidivism rate is half that of California’s. Education funding is California’s single largest collective expenditure, and takes over half of General Fund expenditures in the Governor’s 2010-2011 budget. The state, however, consistently fails to monitor how the funds are spent, wasting tens of millions of dollars that do nothing to further the state’s education system where approximately 30% of high school students fail to graduate. Some examples of waste were the Dept. of Education, through an associated non-profit, paying $2.6 million to rent a vacant building for 2 years, and $80 million in unnecessary spending at U.S. Berkeley resulting from overstaffing, fragmented purchasing and redundancies in student services. Unfortunately, for local government, the Governor just lucked out in a tossup at the California State Supreme Court, allowing him to dissolve the state’s nearly 400 redevelopment agencies and seize $1.7 billion in redevelopment monies. The Court struck down a separate law that would have allowed redevelopment agencies to stay afloat if they agreed to relinquish a large share of their funding to the state. If Clean Water Tax is Good, Why the Deception? Public officials and the media are flooding the news with hype on the urgent needs of the Delta as a prelude to the Prop 218 election. Still, vital questions are left unanswered on this new property-related fee, which will be imposed throughout Contra Costa County. 1. The Delta is bounded by Contra Costa, Sacramento, San Joaquin and Solano. Is the Delta clean-up shared by counties who equally benefit from these waters? Or is Contra Costa dirtier than others? How much of the Delta’s problem was caused by the 2008 Discovery Bay and 2009 Richmond sewage spills or the toxic leaks and gas releases from industries on the rim of our county, which all eventually end up in the water? 2. Contra Costa collects $14 million for stormwater yearly. The clean water fee could possibly increase funds by 50% with no promise to build new or repair existing infrastructure. Are we splashing more money for the same purpose to continue the same solutions which apparently has failed despite a $14 million budget? Is there an assurance that the $14 million will not be diverted for other uses such as salary increases and OPEB liabilities as restricted money from the new source comes in? 3. The clean water fee apparently is a parcel tax in disguise. The amount charged will be imposed on the parcel/person as an incident of property ownership. The charade to use the word “fee” rather than “tax” apparently justifies the special election process adopted for the Clean Water Initiative. This fee passes on a majority vote rather than the 2/3 voter approval required to impose a parcel tax. Additionally, many strategies to sneak through a parcel tax in a stealth election are being utilized: expensive consultant, informational campaign paid by public resources, scare tactics by politicians and media, simple friendly sound bites that “it is only a few dollars” while embarrassing the opposition as cheapskate, scheduling a quick and probable low turnout but expensive election by mail in April despite 2012 being an election year. If Prop 218 is as good as the glossy flyers allege, why engage in deception? Finally, watch the next election and connect the dots from known industrial offenders to the well oiled campaign coffers of politicians supporting Prop 218. 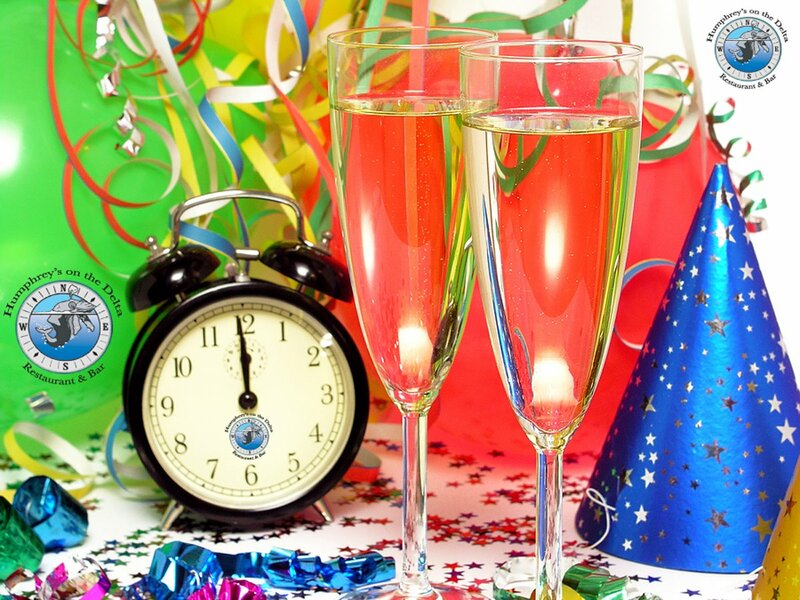 If you’re like me, the standard fare New Year’s resolutions have turned a bit stale. After all, how many years running can I try and convince myself that this is the year that I’ll swear off New York cheesecake, be in bed with the farmers, and floss my molars between meals? I’m afraid, resolutions, in one year, out the other. This time, then, I’m trying a not so me-directed resolution. I’ll focus on being a better neighbor., plain and simple. Who, after all, wouldn’t agree that Antioch has lost much of its’ small town charm? Assumed true, who wouldn’t agree that that’s a crying shame? If, after all, we wanted big city anonymity and practiced indifference we could elect to live in Oakland or San Francisco. Here are some simple behavioral adjustments I’ll adopt with hopes that the neighborliness rubs off on others. I plan on switching some of my time spent in the back yard to the front yard. Front porches, regrettably, may be an artifice of the past but I’ve certainly got a sidewalk-facing garden I too rarely enjoy. The frontage connects me to potentially talkative passerbys; the back yard isolates me in my own world, save a random chattering squirrel or two. When a new neighbor moves in I vow to go over and say “welcome”; heck, I might even bring over homemade jam. It’s an opportunity to break the silo-like isolation of modern urban life. It’s also a chance to affirm with newcomers the message of a tight-knit, friendly, but non-intrusive block. That first meeting can set a tone of a street that watches out for each other’s safety and banners decorum and pride. Well-begun is half-done. I will encourage more regular Neighborhood Watch meetings- hey, the concept works. Getting to know your neighbors, having their cell or work numbers, and agreeing to watch for strange vans pulling in driveways can do wonders. Fact is, far too many houses get their bones picked by trucks with fake company logos backed into garages pretending to be on servicing calls while the neighbors merrily “mind their own business”. Neighborhood Watch, though, stresses vigilance, unity and strength in numbers. When the Police, Animal Control, Code Enforcement, Housing Authority or Health Department get calls from multiple parties they simply pay more attention. In this day and age, we don’t want to be a lone sheep waiting to be picked off. Antioch Police Chief Cantando has, in fact said that much of the 16% drop in violent crime last year had to do with the alert eyes and ears of the community. I vow also that when I walk over to neighboring Hillcrest Avenue or County Hills Drive I will bring a trash bag to pick up litter. If only a fraction of us did likewise in our neighborhoods the city would continually sparkle. Small things do matter as the grafitti initiative started by Mayor Rudy Guliani demonstrated in New York. Unkemptness breeds chaos, tidiness breeds order. Lastly, I will encourage a few new faces to join our neighborhood’s annual holiday progressive party. It’s a take off on the neighborhood block party. At this event, you contribute to one food choice. House number one is an appetizer stop; house two, soup and salad; house three, main course; house four, dessert and maybe a secret gift-giving/stealing exchange, which can be a hilarious way of getting folks to better know each other. This, then, is a practical resolution and one worth keeping. My profound hope and prayer for you all this New Year, and I hope your hope and prayer for me, is that we are the kinds of neighbors we wish those on our street to be. The Business Outreach Committee (BOC), with co-sponsor Contra Costa Supervisor Federal Glover and City of Pittsburg, invites you to learn about the DBE Certification Program, including one-on-one certification assistance. • Learn how a DBE certification can provide you access to federally-funded projects. New federal requirements coming into effect February 2012 make it even more important for your firm to be certified. • Receive information on upcoming projects from BOC member agencies. • Firm must be at least 51% owned and operated by one or more socially and economically disadvantaged individuals. • Firm must be an independent business. • Only existing for-profit “Small Business Concerns” as defined by the Small Business Act and Small Business Administration (SBA) regulations may be certified. • SBA size standards apply. • Personal Net Worth (PNW) of socially and economically disadvantaged owners must not exceed $1.32 Million, excluding the individual’s ownership interest in the applicant firm and the equity in his/her primary residence. To register online or sign up for future newsletters and event information, click link below (or copy to web browser), complete form, then click “submit form”: https://docs.google.com/spreadsheet/viewform?hl=en_US&formkey=dDZWWUg2ZF83blhPeTZSYUI5MXF4c0E6MQ#gid=0. Certifying agencies include BART, SFMTA, Samtrans, and VTA. Antioch Police Department responded to an auto versus pedestrian traffic collision on Pembroke Court on December 26 at 1:21 p.m. The vehicle was driving out of a driveway in the court and struck a two-year-old boy. The victim fell and was run over by the vehicle. The driver of the vehicle was a relative of the child. The victim sustained life-threatening injuries as a result of the incident and was transported to a local area hospital where he was later pronounced deceased. The investigation is ongoing, but it appears this is nothing more than a horrible accident. From the Book of Luke, Chapter 2, in the Bible. For more about Jesus the Christ, click here.